One year ago I was living the high life on holiday in Las Vegas. It was the trip of a lifetime, where I had some of the most incredible experiences and celebrated one of my very best friends' 30th birthday. 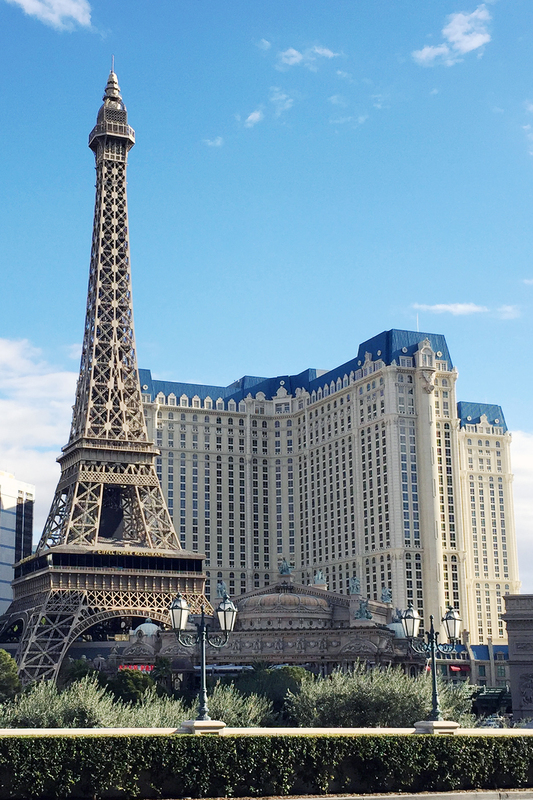 Before our trip I honestly couldn't have told you what there was to do in Vegas besides gambling, but we ended up with an itinerary packed full of amazing things without a casino in sight. An absolute must for anyone visiting Las Vegas is a trip to watch the fountains outside the Bellagio. They are one of the most iconic things in Vegas, and they are so easily accessible. Completely free, and located right in the middle of the strip, the fountains cannot be missed. You can watch the incredible shows over and over, and as they have so many different performances set to different songs you won't get bored in a hurry. We must have watched them over ten times! 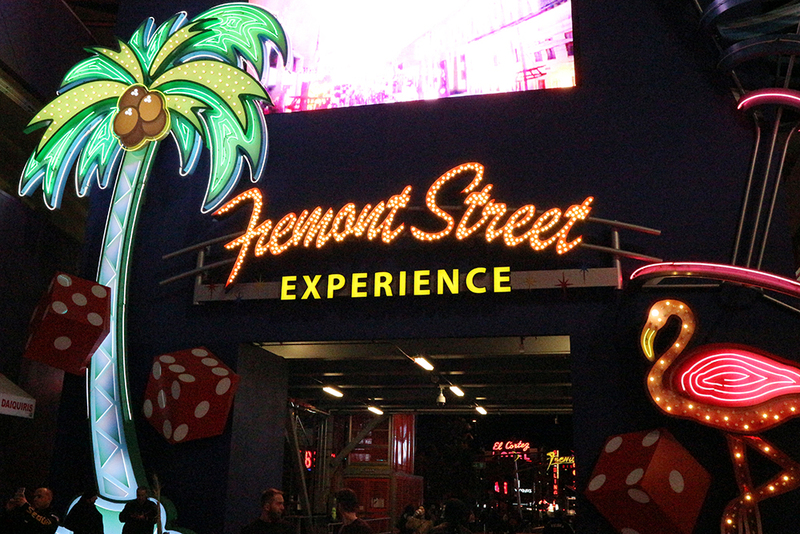 I'd definitely recommend taking a trip off the strip to see the old hotels and casinos that make up the original Las Vegas down on Fremont Street. To get there we took an Uber as it is quite far away from the strip, but we arrived we were surrounded by hundreds of neon lights, street performers and a billion Elvis impersonators. If you're a daredevil there's even a zipline which runs the length of the street! On the evening of my best friend's 30th birthday we decided to go somewhere a little fancy for dinner so headed to Gordon Ramsey's Steak in Paris. Now, I don't actually like steak, so I had the chicken which was really good, but the absolute best thing we tried was actually the mac and cheese - yes really! Made with five types of cheese, peas and truffle it was seriously divine. My friends absolutely loved their meals too (you can choose your steak from a trolley they bring round! ), and just this week we were talking about how incredible that meal was. 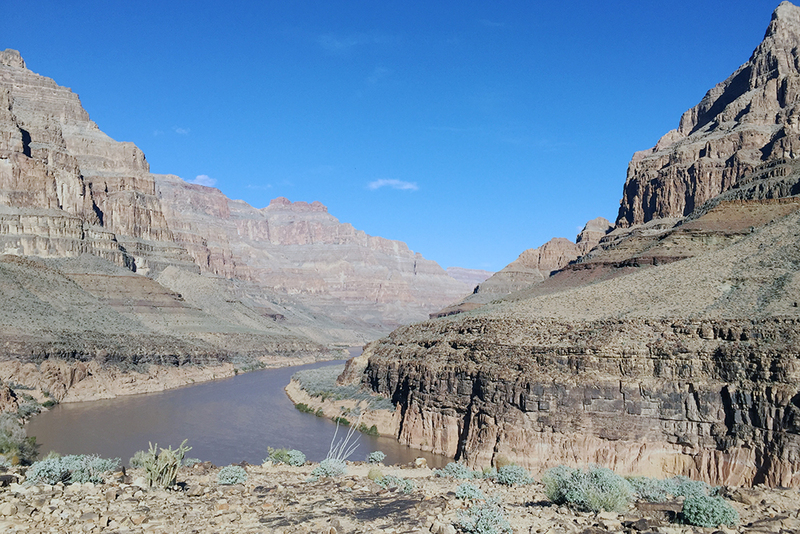 Technically, this one involves not only leaving the city, but leaving the state, but I really couldn't write this post without mentioning the Grand Canyon. Without a doubt, our helicopter trip at the Grand Canyon was the highlight of our holiday, and was one of the most amazing experiences I have ever had. The views were absolutely breathtaking, and the helicopter ride was incredible, if somewhat surreal. It is expensive, but I seriously recommend doing it - you will not regret it! There are so many shows on in Vegas that it is almost essential to go to one. After hearing rave reviews of the Cirque Du Soleil shows we decided to go to 'O' at the Bellagio - think synchronised swimming, amazing acrobatics and gorgeous scenery. It was seriously breathtaking, and I would definitely recommend it to anyone wanting to go to a show in Vegas. The Bellagio itself is also incredible, so the whole experience is just wonderful from start to finish. Most of the big hotels along the strip offer buffet meals, so one morning we decided to visit Wicked Spoon in the Cosmopolitan for brunch to see what all the fuss was about. We'd heard it was one of the best buffets to go to, and it definitely didn't disappoint! There was so much food to choose from, and the mimosas just kept coming. I'm sure we spent the rest of the day waddling around full from everything we had eaten! Without a doubt one of my favourite things from our trip to Las Vegas was the cupcake ATM at Sprinkles. 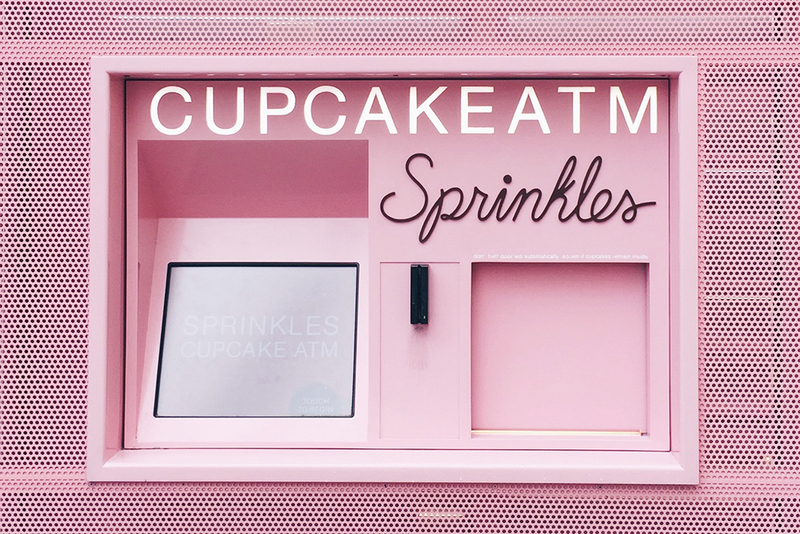 There are so many incredible flavours to choose from, and the whole concept of a cupcake ATM is just so brilliant - you can use it 24/7, so if you fancy a cupcake at 3am, Sprinkles is the place to be! Located on the Linq promenade it is right next to In-N-Out Burger, so get yourself something greasy first, then wash it down with something super sweet from Sprinkles - perfect! About half way through our trip we rented a mustang for the day and explored a bit of Vegas away from the strip. We drove out for breakfast at an IHOP, bought ten tonnes of treats at Walmart, and had a little weep over how amazing Target is. We also drove to the California state line - there's an outlet shopping centre out there, and just over the state line there's one lone California lottery shop where we bought a bottle of water! I'm not sure that it really counts as visiting another state, but it will do for now until I get to visit Cali properly!